Benjamin R. Barber (1939-2017) was an internationally renowned political scientist and activist. He combined a career as a distinguished scholar and political theorist with a life of practical commitment to democratic civic practices and the arts. He was the first Distinguished Senior Fellow at the Fordham School of Law’s Urban Consortium, President and Founder of the Global Parliament of Mayors project, and Walt Whitman Professor of Political Science, Rutgers University. Barber was a Distinguished Senior Fellow at Demos, Kekst Professor of Civil Society at the University of Maryland, and chair of American Civilization at the École des Hautes Études en Sciences Sociales in Paris. He acted as an outside adviser to President Bill Clinton and as a counselor to political and civic leaders in the United States and around the world. Barber wrote numerous influential books, including If Mayors Ruled the World: Dysfunctional Nations, Rising Cities (2013); Fear’s Empire: War, Terrorism and Democracy (2003, also published in eight foreign editions); the classic Strong Democracy: Participatory Politics for a New Age (1984); Strong Democracy (1984), the international best-seller Jihad Vs. McWorld (1995, translated into thirty languages), and Consumed: How Markets Corrupt Children, Infantilize Adults, and Swallow Citizens Whole (2007). His last book, Cool Cities: Urban Sovereignty and the Fix for Global Warming, was published less than a week before his death on April 24, 2017. He was honored with a knighthood (Palmes Academiques/Chevalier) from the French Government (2001), the Berlin Prize of the American Academy in Berlin (2001), and the John Dewey Award (2003). Barber was founding editor and for ten years editor-in-chief of the international quarterly Political Theory. All his writings, from academic studies to more popular articles in newspapers and magazines of opinion, have stressed the need to think practically about ways to foster a more democratic political life in America and abroad. He brought an abiding concern for democracy and citizenship to issues of politics, globalization, culture, and education. With Patrick Watson he wrote and edited the prize-winning ten-part PBS/BBC series The Struggle for Democracy. His plays have been produced off-Broadway as well as at the Berkshire Theater Festival, Colorado College, and the Hopkins Center at Dartmouth. 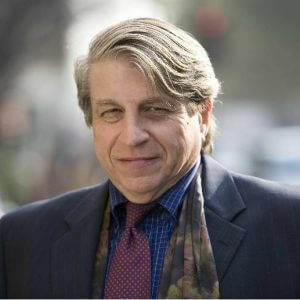 Before completing his undergraduate degree from Grinnell College, Benjamin Barber studied at the Albert Schweitzer College in Switzerland and the London School of Economics and Political Science. He received his M.A. and Ph.D. from Harvard University.